MCADCafe: Part 2: Is It Really Smart To Buy Totally Into IoT? « Part 1: Is It Really Smart To Buy Totally Into IoT? Let’s start with handling the vast amounts of data surrounding the billions (and growing) IoT devices. Simply put, IoT has a data problem. Well actually, several data problems. Everyone is claiming to be the world’s smartest something, but that proliferation of devices, lacking context, with fragmented user groups, and generating mountains of data, is a huge challenge for the burgeoning industry. To succeed, what the IoT needs is data. Big data and the IoT are really about the same thing. The IoT collects data from billions of sensors; that data is classified, organized, and used to make automated decisions; and the IoT, in turn, acts on it. It’s precisely this ever-accelerating feedback loop that makes IoT so compelling. However, the spread of IoT will eventually trigger a mass extinction, where only a relatively few companies will survive. Many of the survivors will be the ones that can discover more information by inference, and that means organizations that know data science. This sprawl of devices also means a sprawl of data. Unless you’re one of the big players, you probably don’t have enough user data to make significant breakthrough discoveries or computing horsepower to analyze it — giving the big players a big advantage. When the IoT sectors inevitably consolidate, all the data that failed companies collected will likely be lost, because there’s little sharing of information across product lines, and export is seldom more than an ASCII file. If data doesn’t persist, why bother collecting it? Possibly the biggest data problem that IoT faces is correlating the data it collects with actions that can be taken. Everyone knows managing data will be a bigger problem once IoT is up and running at full scale, but from what I’ve witnessed, surprisingly few have really considered the potential data storage problems. There have been hypothetical discussions around compliance, privacy or the kind of information that consumers will be happy to offer to businesses in exchange for better customer experiences, but there has been little discussion of exactly where enterprises plan to store the massive amounts of data that will be created. According to research from Gartner, there will be an estimated 26+ billion units installed globally by 2020 with many more on the way in succeeding years as the price of processors drops. In the near future, it will be theoretically possible to install a processor into just about everything. The big question is: Where is all the data provided by those processors going to be stored and what are the problems around them? This is a very real problem. If enterprises are to get the deep insights into customer activity like the IoT promises, they are also going to have to keep all that information somewhere while it is being analyzed. 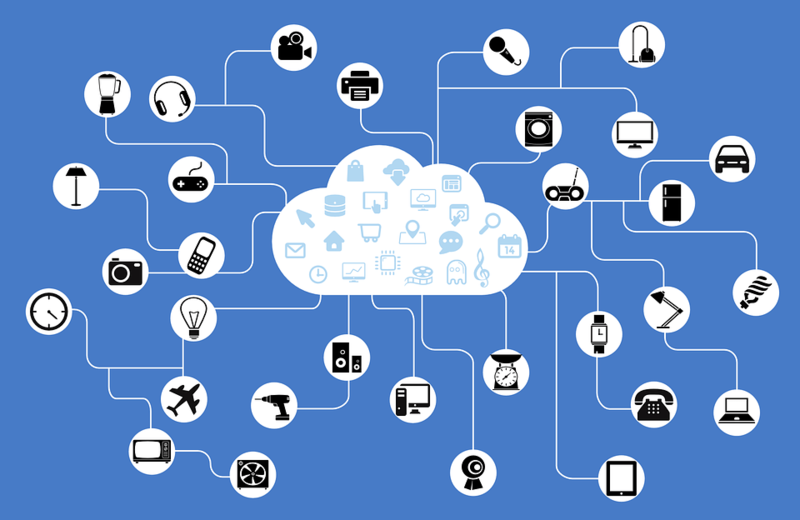 The central problem lies in the nature of the IoT itself. It will connect remote devices and systems and provide a data stream between devices and decentralized management systems. The data or even the devices will be incorporated into existing organizational processes to provide information on the location, status, activity and functionality of those systems, as well as information about the people who own and operate them. The enormous number of devices, coupled with the sheer volume, velocity and structure of IoT data, creates challenges, particularly in the areas of security, data, storage management, servers and the data center network, as real-time business processes are at stake,” Joe Skorupa, Gartner vice president said. Enterprises – There will also be significant security challenges from the increasing amount of data with the myriad of devices increasing security complexity. This, in turn, will have an impact on availability requirements, which are also expected to increase, putting real-time business processes at risk. Privacy – Related to this is the challenge of securing the personal data of individuals as the consumer goods they use become increasingly digitized. Already there are issues around metering equipment and digitalized automobiles. This is particularly challenging as the information generated by IoT is a key to bringing better services and the management of such devices. Security will have to be integrated as part of IoT infrastructure. Data – The impact of the IoT on storage is two-pronged in types of data to be stored: personal data (consumer-driven) and big data (enterprise-driven). Already in use in key verticals such as healthcare and financial services, big data is transforming how and why companies collect and store data. IT administrators that are already tasked with keeping the storage centers running, will also have to figure out how to store, protect and make all the incoming data accessible. If, as Gartner, estimated, storage servers are only being used to between 30 and 50 percent of capacity, the physical capabilities are there. Managing them, however, is an entirely different problem. Storage Management – However, even if the capacity is available now, there will be further demands made on storage and one that will have to be addressed as the need to access this information becomes more important. Businesses will have weigh up the economics of storage against the value of IoT information. Server Technologies – The impact of IoT on the server market will be largely focused on increased investment in key vertical industries and organizations related to those industries where IoT can be profitable, or add significant value. Some organizations that manage and consume data collected from a huge array of devices will require additional compute capacity and may well increase server budgets if there is a business case for it. Data Center Network – Existing data center WAN links have been built for moderate-bandwidth requirements created by our current use of technology. However, as the amount of data being transferred is set to increase dramatically, the need for expanded bandwidth grows. The result of all this, the research points out, is that because of the scale of the data being created it will no longer be economically feasible to store data at a single location. This is only the beginning of process that will see major changes in the design and architecture of data infrastructures that are critical for making IoT a reality. In the end, the IoT is a tool, just as all technologies are tools. Whether talking about the things being connected to the IoT, or the IoT itself, never forget that tools themselves are just things, but the story isn’t really about things at all. In the end, the IoT is an extraordinarily powerful communication and commerce tool, but a tool – a commodity, and not a precious possession. So, to answer the question posed in the title of this blog, Is It Really Smart To Buy Totally Into IoT? I don’t the time is quite right, yet, but that time is approaching and inevitable. This entry was posted on Thursday, August 18th, 2016 at 17:00. You can follow any responses to this entry through the RSS 2.0 feed. You can leave a response, or trackback from your own site.